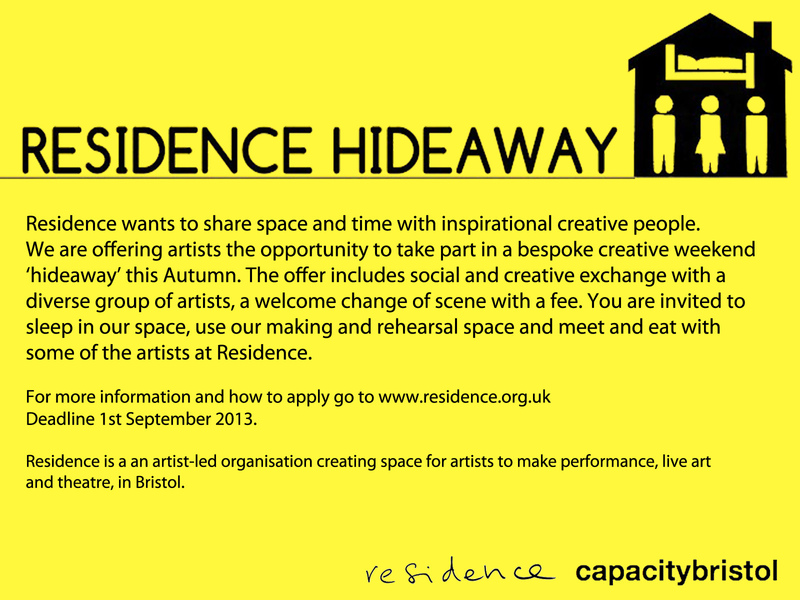 Residence runs occasional Hideaways, weekend-long residencies offering artists or artist led initiatives a chance to stay at The Milk Bar, work on their own projects and take part in social and artistic exchange with us. Bordering between a creative practitioner, digital facilitator and commentator. 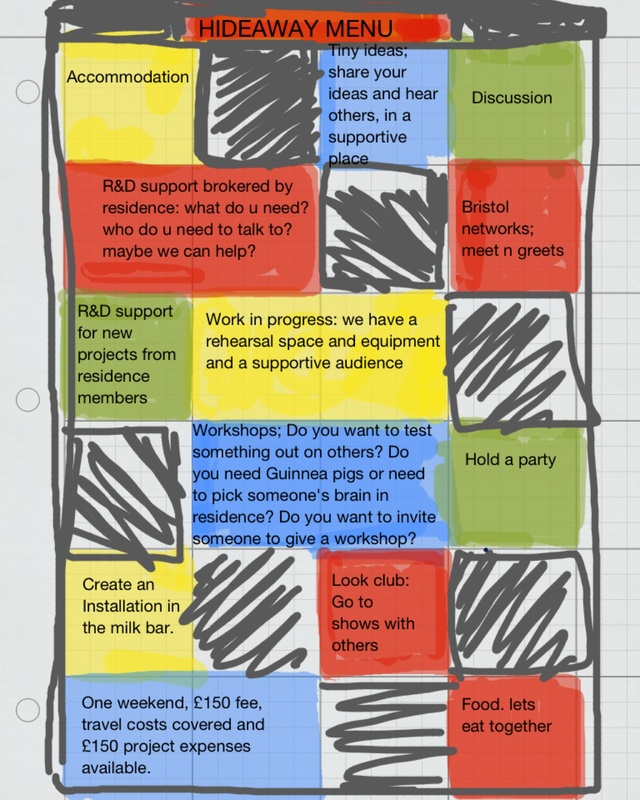 Fuelled by my obsession with theatre and all things digital, I attempt to produce work that sits between the thin line of audience / curator / maker that enages in, with and around theatre and the arts. Alexandra Zierle and Paul Carter’s collaborative work is interdisciplinary, multi-sensory and site and context responsive spanning from live art/performance art, happenings and interventions, to sound, video and installation. Through their practice, Zierle & Carter critically examine different modes of communication and what it means to be human both as individuals and as a collective entity. Their work addresses notions of belonging, cultural identity, the dynamics within relationships, harmony through conflict and the transformation of limitations.